I’m so excited about my latest Dreamspinner release THE RHUBARB PATCH. It’s funny where inspiration comes from. 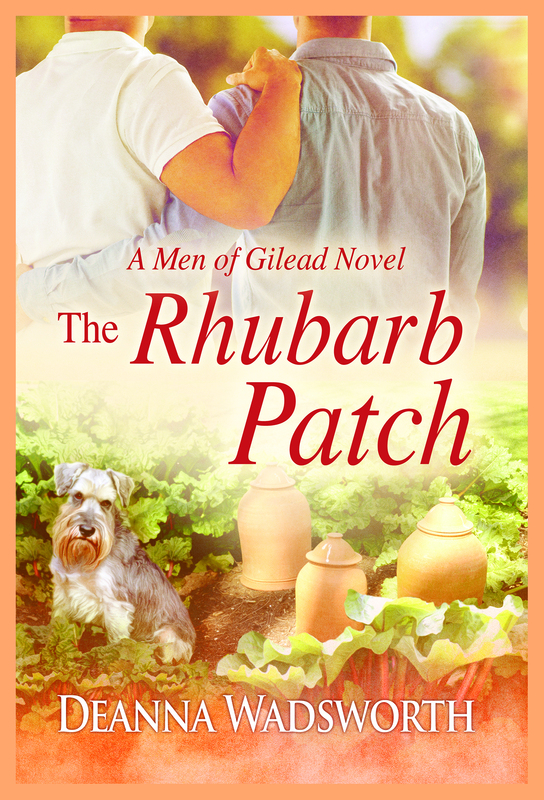 THE RHUBARB PATCH, the first book in my new Men of Gilead series about a small country town in Ohio, has an exceptionally funny story at the heart of its creation. Or humiliating, it depends on how you want to look at it. 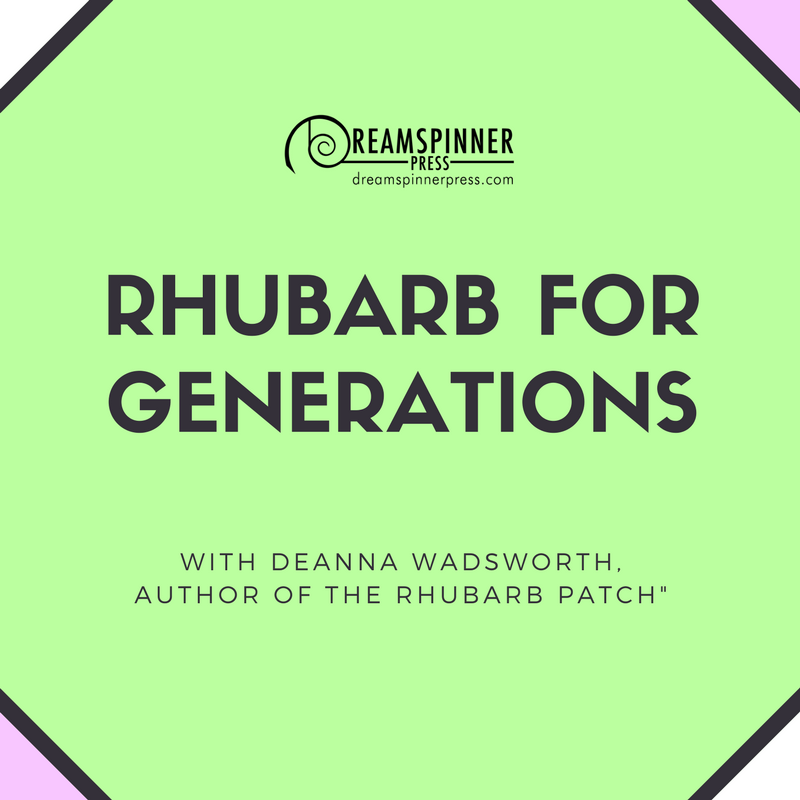 Rhubarb is one of those fruits that’s often forgotten about, but it’s delicious in pies, rhubarb bread, or my grandma’s rhubarb crumble—you can find the recipe HERE. 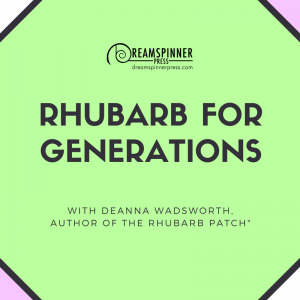 My family has a weird affinity for all things rhubarb so when someone gave my grandmother a free rhubarb plant years ago, naturally, she was thrilled. Sadly she passed away that spring and never got to plant it. So my mom brought the bucket over, wondering if I wanted to plant the rhubarb at my new house. I told her to just pop it in the ground by the woodpile and if it grew? Great. If not? Oh well. I had only recently moved into my new house and a vegetable garden was the last thing on my mind. We didn’t even have grass growing. As with all things nostalgic, the rhubarb soon lured my attention after a year or so of neglect. I started watering the spindly looking plants, determined to get a nice harvest to make my grandma’s rhubarb crumble. The stupid plant went to seed and died on me…. or so I thought. The next year it came back up! And not just one plant, it had sprinkled seeds and had babies. I was so excited! I landscaped around it, posted it on Instagram—yes, I post pics of my garden, my dogs and alcohol on Instagram LOL, you can find me here: @DeannaWads. I even tried to make jelly with my rhubarb, though the batches turned out lousy. One day, five years into cultivating my precious rhubarb, I realized the cable company was on the back of my property tearing up the dirt to get at underground lines. Right next to my rhubarb patch. I was in my pajamas and no, not the cute ones. I hesitated at the door before I ran out to yell at them because I didn’t know if they were actually going to damage my grandma’s rhubarb. So like a logical person, I got up got dressed before I went out and checked. Whew! Those guys didn’t want to face me if they’d harmed them, believe me! As I was driving somewhere later that day, Phineas Robertson popped into my head. I didn’t know who he was, or who we was going to fall in love with, but I knew darn well someone was going to tear up his precious rhubarb patch. Maybe the new man who just moved in next door would weed whack his rhubarb? If that happened, naturally Phin wouldn’t hesitate at the door and get dressed, would he? No! He would run outside in nothing but old white underwear and orange rubber garden boots! The result of this little plot bunny was THE RHUBARB PATCH and the birth of my sweet little town of Gilead, Ohio—based on the town I live in. It didn’t take long for me to plan the story or a dozen others to take place in Gilead. One thing I didn’t expect is for every single quirky gardening story I’ve ever been involved with or been told by friends or family—from the owl that gets into Phin’s chicken coop, to the little Schnauzer on the book cover eating all the beets and green beans out of the garden—to end up in THE RHUBARB PATCH. I’ve never written a book with so many true stories. As you’re reading the book and stumbling across something odd, like the existence of nuns who like to “hand screw tomatoes” or the raspberry jelly fiasco during the Red Wedding, or mysterious tomatoes from Italy, and even 150 year old sourdough starters…. rest assured it’s all true. Well, with a little creative license to protect the innocent, of course. For seven years, I wasn’t growing rhubarb at all! But I can’t tell that story, without spoiling THE RHUBARB PATCH. I’ll let Phin tell it, his version is better anyway. Do you have a weird gardening story or something bizarre that happened to you in a small town? Maybe a favorite way you enjoy rhubarb? Leave a comment and you’ll be entered to win one of my Dreamspinner backlist books. Check out The Rhubarb Patch today! Scott is convinced—rural life, and his one-of-a-kind older neighbor, is the future he wants. Before he can settle in, his mother drops a bombshell that strains their already tenuous relationship, and a cousin who believes he is the rightful heir to the property puts Scott in danger. It’ll take a lot of compromises, and even dodging a few bullets before they’re out of the weeds, but nurturing something as special as true love always takes hard work. Hello Deanna! I love rhubarb! I mostly do pies with it, and sometimes jam (perfect with vanilla). Not so long ago in a fancy restaurant there was some in my fish dish. The acidity went very well with it. It was delicious. Your book sound very sweet. Best of luck. Oh by the way, watch out with your furries since rhubarb leaves are toxic (though you are most probably already aware). I put mine where my pets can’t reach it too much. I must recognise I’m not much of a gardener myself… AS for rhubarb, it is not very common here in my country (Spain). So no special recipes either. But I do love the sound of your new story. I just added it to my TBR pile! Thanks for stopping by! I’ve had rhubarb with vanilla, and just recently rhubarb pineapple jam–YUM!–but in a fish dish? Hmmm, might be something to try! LOL I think lots of people have never had it. I am surprised it’s not in markets on the east coast. It’s such a hearty perennial. You should just order some rhubarb jelly online and try it. I hope you enjoy the book! I wonder what country rhubarb is most common in….runs off to google it….